The open government data movement has rapidly spread worldwide—including regional and local governments—and almost every major city has some form of open government data access program. More than 100 nations have adopted laws relating to open access to government data. According to research by McKinsey & Company, opening access to government data is estimated to add $3 trillion a year to the global economy. It is clear that this movement will continue to spread. A recent article in Government Information Quarterly suggests governments have different approaches to creating open government data programs. There is the data-oriented approach, which deals solely with publication policies, and the program-oriented approach, which lays out a governance structure with policies and strategies. There is also the user-oriented approach, which, as the name suggests, is based on open government data based on consumer needs and capabilities. A fourth approach is the scorecard and impact approach, which considers the greater impact of open government data policies and programs. These approaches are driven by the government’s perception of what the open government data users need or desire. There may be some feedback from the users, but not a fully developed feedback system through which users can help identify what government data should be released and how it will be used. This need for more involvement by consumers is the impetus for the ecosystem approach to open government data programs. In the next section, the advantages of the ecosystem approach will be discussed by examining the big data ecosystem of U.S. agriculture. There are three major actors in the ecosystem approach: open government data providers, open government data users and open government data beneficiaries. The open government data providers publish data that is then used by open government data users (such as transparency advocates and civic technologists) to create data products. The data products are used by open government data beneficiaries such as citizens and other governments. Feedback loops run throughout the ecosystem and help open government data providers and open government data users release data and build data products. In January of this year, the Congressional Research Service released a report that mapped the big data ecosystem for U.S. agriculture. The purpose of the report was to show how data flows from creators and consumers in the economic activity of U.S. agriculture. The researchers found that data flowed from government data producers and private data producers and that the data combined and recombined in complex ways. Feedback loops were also a complex tangle of information. By mapping the data flows of this particular ecosystem, federal agencies can craft better policies to release and distribute open government data for the maximum benefit to open government data users and open government data beneficiaries. An example of the ecosystem-based approach to an open government data program is at the Department of Health and Human Services (HHS). The U.S. health care data ecosystem is arguably just as large and complex (if not larger and more complex) as the U.S. agriculture data ecosystem. HHS is currently testing the “Demand-Driven Open Data” (DDOD) program. Instead of making a simple request for HHS data, a user describes who will use the requested data, how the requested data will be used and the value of releasing the data. This information is compiled into a “use case.” All use cases are public and requestors are asked first to search existing use cases before making their own request. This avoids duplication of requests and helps HHS understand how and why the HHS data will be used. 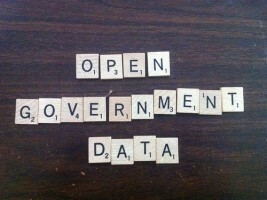 A Global Ecosystem of Open Government Data? If more governments adopted the ecosystem approach to open government data programs, would it be possible to connect these ecosystems to each other? This would make searching for open government data easier and for combining datasets to create even newer forms of data products. As open government data increases its impact on the world economy, it is vital that governments understand the consumers and benefits of open government data. The ecosystem-based approach seems to be the most appropriate model for governments.